Schoolyard Injuries: Who is Liable in Pennsylvania? 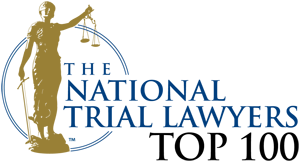 Home / Blog / Schoolyard Injuries: Who is Liable in Pennsylvania? Whenever children play together, there is always a chance that one, more than one, or all may get injured in an accident. However, based on data published by Safe Kids Worldwide, more injuries tend to occur to children when they are playing on a schoolyard playground than on any other type of playground. Specifically, the research shows that 40% of playground injuries occur in the months of May, June, and September, when schools are in session. Why is this the case? This same study suggests inadequate supervision of the children while they play is to blame. When children are injured on the schoolyard, school districts and even specific teachers charged with supervising the injured children may be held civilly liable for their injuries. In order to hold the school, a specific teacher, or both liable for injuries children sustain while playing on school grounds, the children’s respective guardians typically file a negligence claim on their behalf. To prove a negligence claim against a school district or teacher based on inadequate or lack of supervision, the injured child’s attorney must prove four elements, which are set forth as follows: (1) that the school district or teacher owed a legally recognized duty of care to the child; (2) that both or either breached that duty; (3) that the breach caused the injuries the child sustained; and (4) that actual loss or damage resulted to the child. In Pennsylvania, school districts and teachers owe students a duty of care to provide them with reasonable protection from foreseeable harm. Essentially, the law does not require schools or teachers to ensure the safety of students, but it does require them to adequately supervise students in their care. So, if a school has a policy of not allowing students to perform specific acts, but the children perform said acts and the teachers do not stop the students, then that could be seen as a breach of the duty of care. However, while injured children, through their guardians, can bring negligence actions against school districts and/or teachers for injuries that occur on the schoolyard, one should keep in mind that said lawsuits are not always successful. This is because proving causation can be an issue or schools districts or teachers may be found to be immune to liability. Section 8541 of the Pennsylvania Political Subdivision Torts Claim Act generally provides public school districts with immunity from liability for damages. However, there are specific exceptions whereby school districts can be held liable. One of these exceptions relate to injuries that occur on school property when the children are in the custody, care, and control of the school district. Accordingly, to be successful on a negligence claim brought against a school district and its teachers, one must establish that the injury not only occurred on the school district’s property, but that the school district was actually charged with the care, custody, and control of the child when the the injury occurred. Did you or a loved one sustain serious injuries due to a schoolyard accident in Pennsylvania? Don’t let the medical bills pile up while you wait for the negligent party, or their insurance company, to do the right thing. Right now, you need an aggressive personal injury attorney on your side, fighting to get you the compensation you need, want, and deserve. 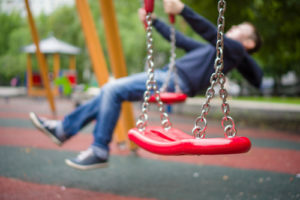 The skilled attorneys at The Law Office of Mark A. Smith represent clients injured because of schoolyard playground accidents in Erie, Pittsburgh, Homestead, Greensburg, and throughout Pennsylvania. Call (412) 368-8398 or email us to schedule a free consultation about your case. We have an office conveniently located at 215 E. 8th Avenue, Homestead PA 15120, as well as offices in Pittsburgh.